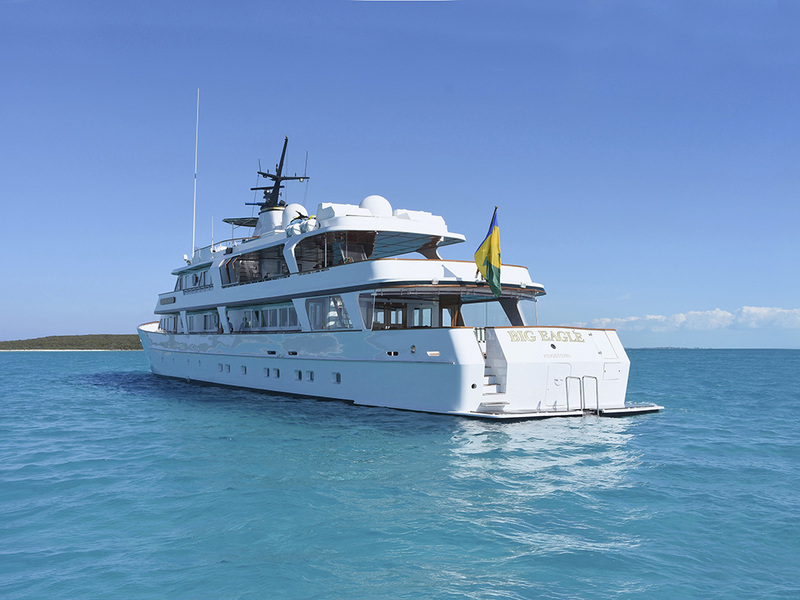 Up to twelve quests are accommodated in six lavish staterooms. 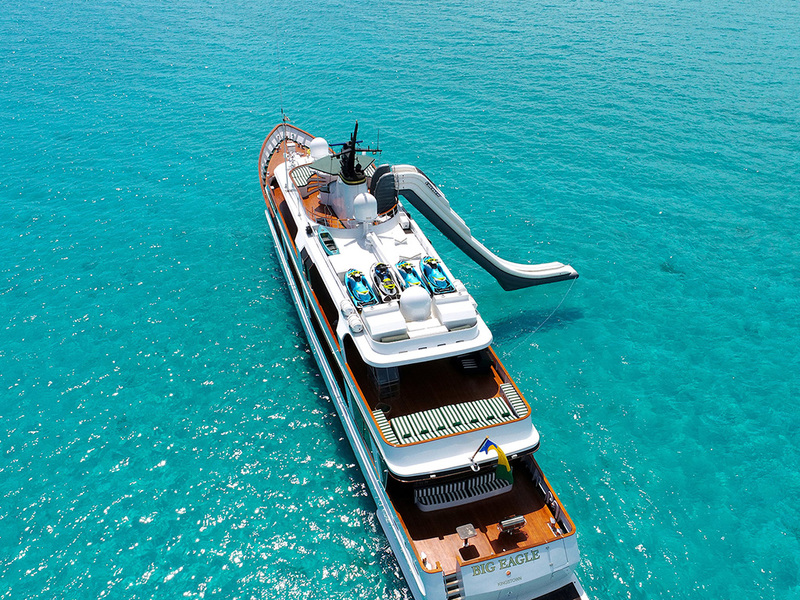 The first of two distinctive full-width suites is located forward on the main deck. The master suite includes a king-size bed, desk, and adjacent sitting room. 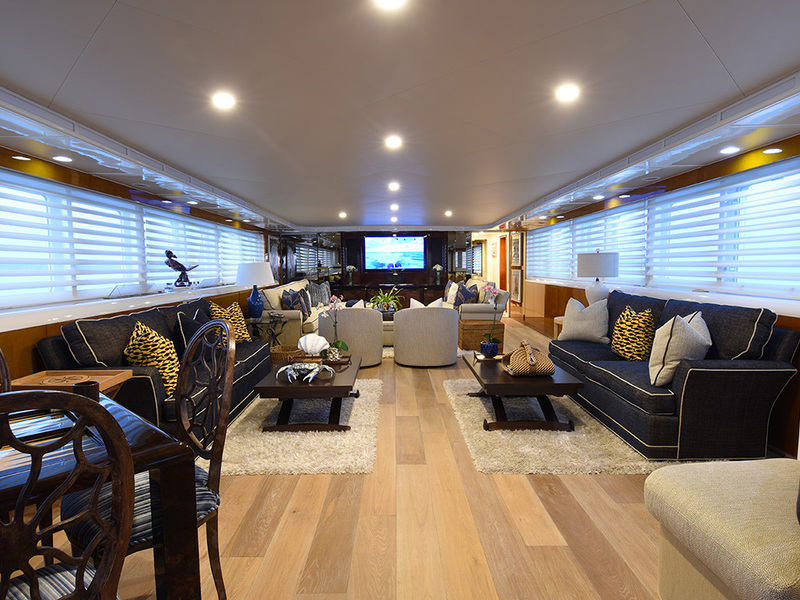 The second full-width suite is located aft on the accommodations deck. 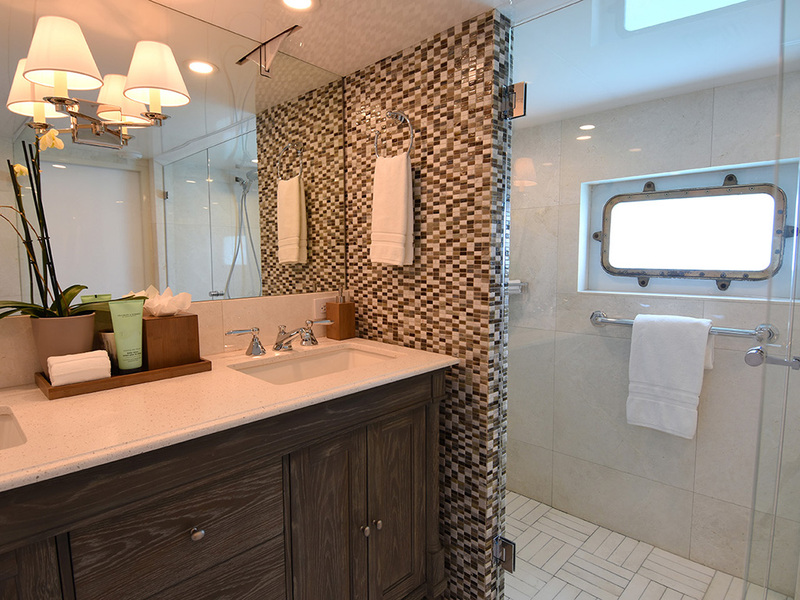 This VIP suite includes a full entertainment system, private sitting room with vanity, and a full marble bath with a whirlpool tub. 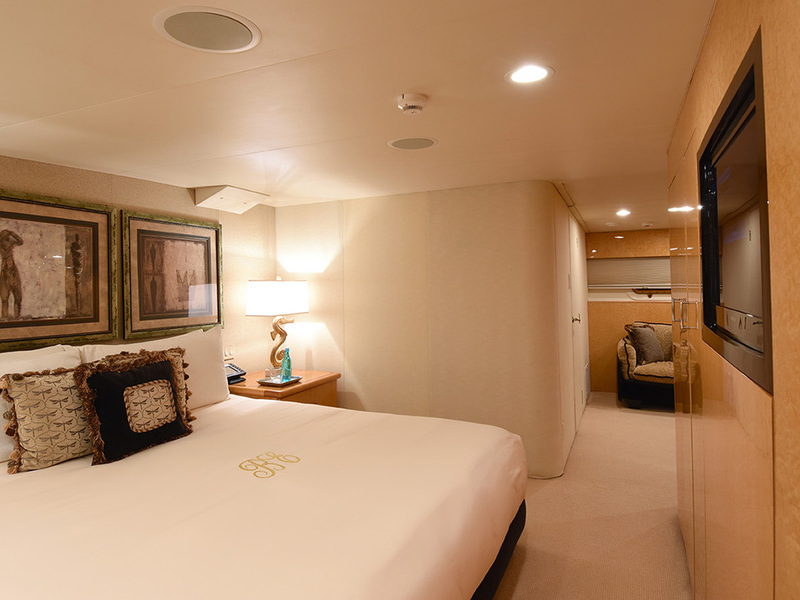 Four equal-size guest staterooms are located on the lower deck opening off a fascinating gallery; one with a queen bed and three with twin beds. 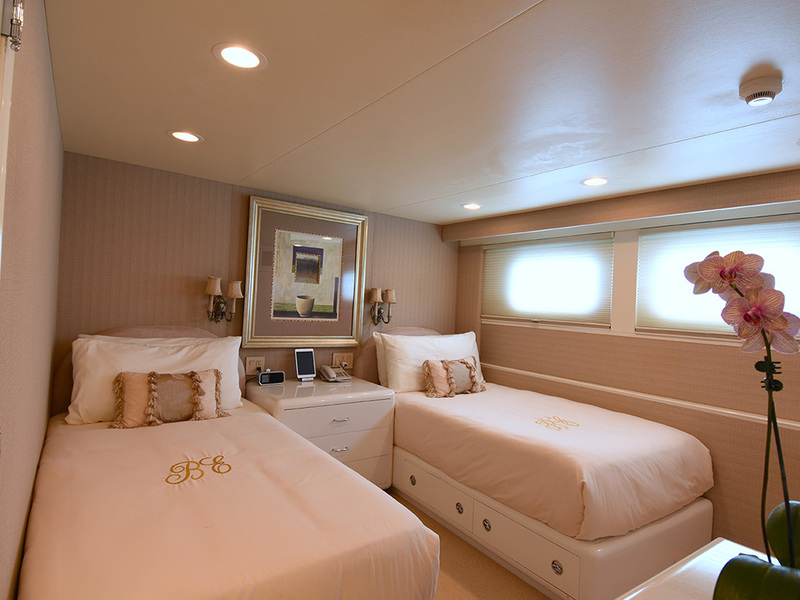 Each stateroom is equipped with an entertainment system, ample storage, and the luxury of a private bath with full tub. 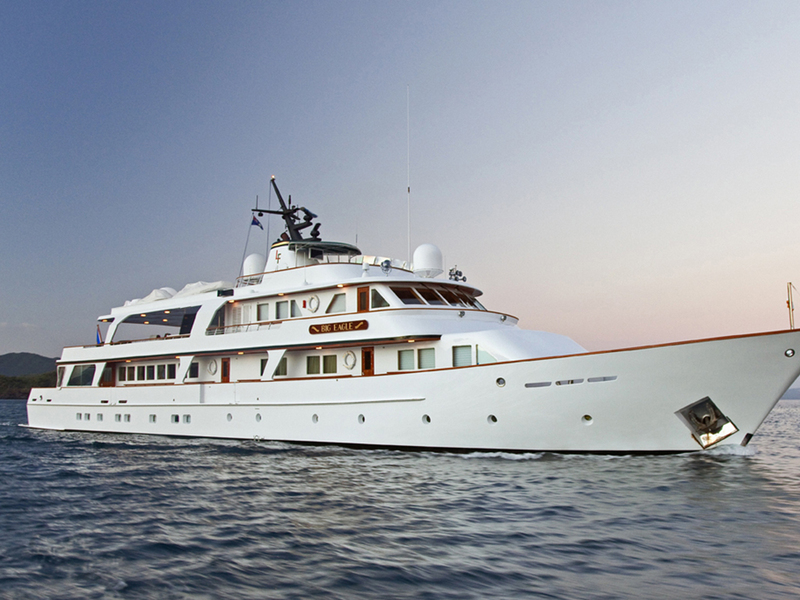 Chief among this yacht's attributes is the luxury of space. 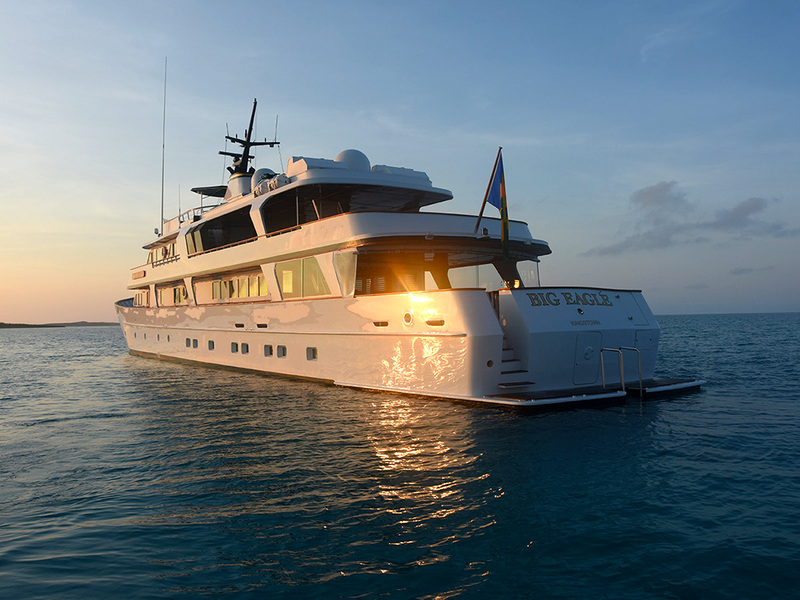 With four decks of accommodations, privacy is never an issue. The salon, for example, encompasses four distinct social areas, including grand and intimate conversation groups, a game table, and a convivial, fully equipped sports bar just off the main salon. 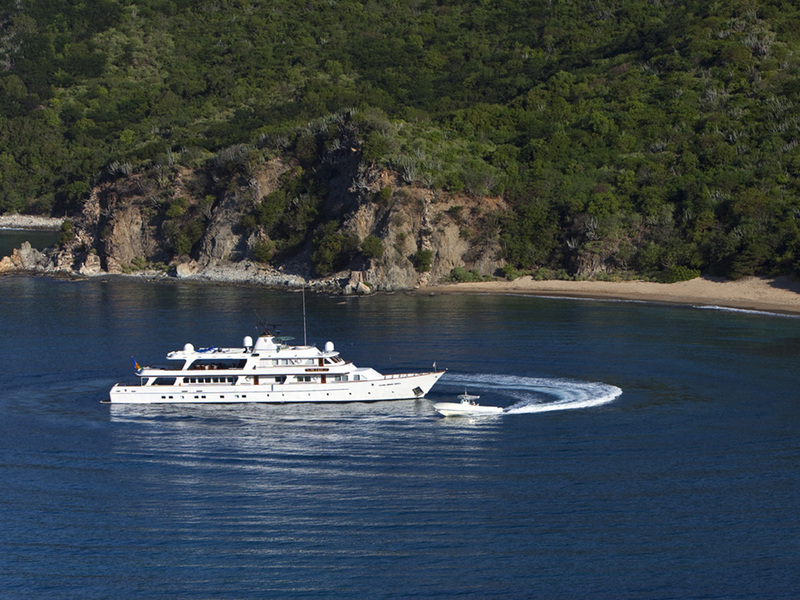 Capitalizing on the lure of fresh sea air, Big Eagle has many places for her guests to enjoy life out of doors. 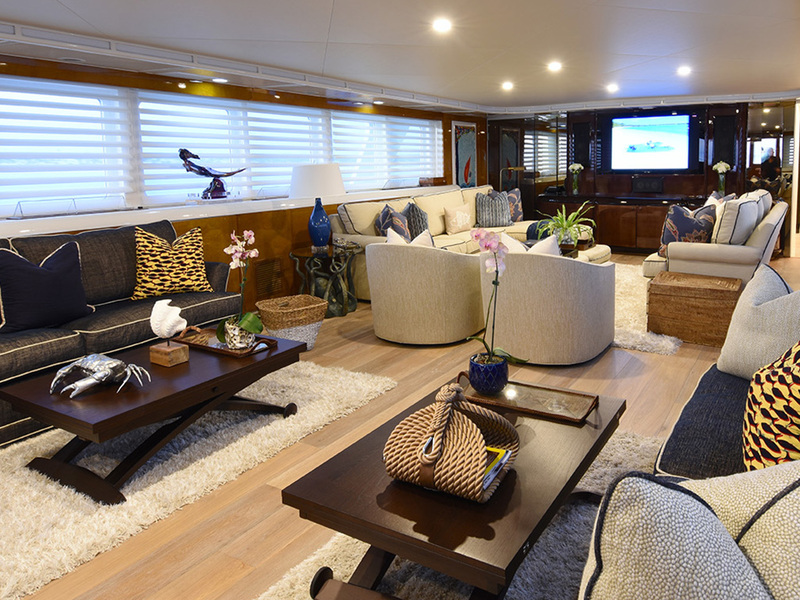 In addition to the enclosed aft lounge on the main deck, Big Eagle offers an open air salon on the bridge deck that defines spaciousness with versatile furnishings. 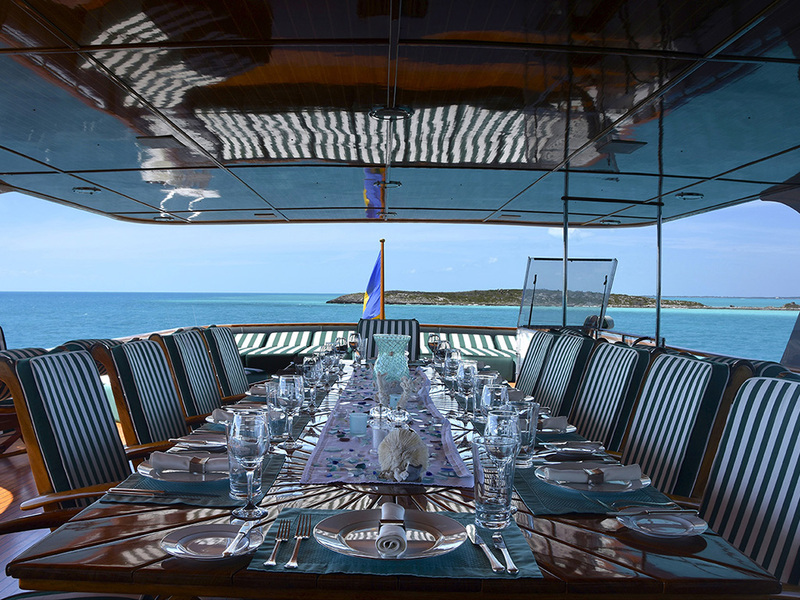 Located high above the madding crowd on the yacht's third deck, this huge space is equipped with full bar and dayhead. 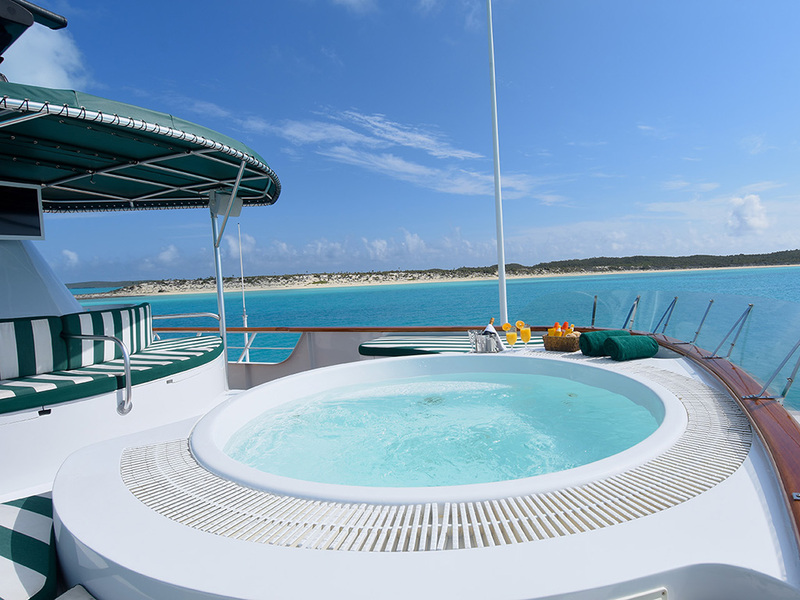 Aft of the covered seating is a sun worshiper's paradise with wall-to-wall sun pads and an array of beckoning lounge chairs. 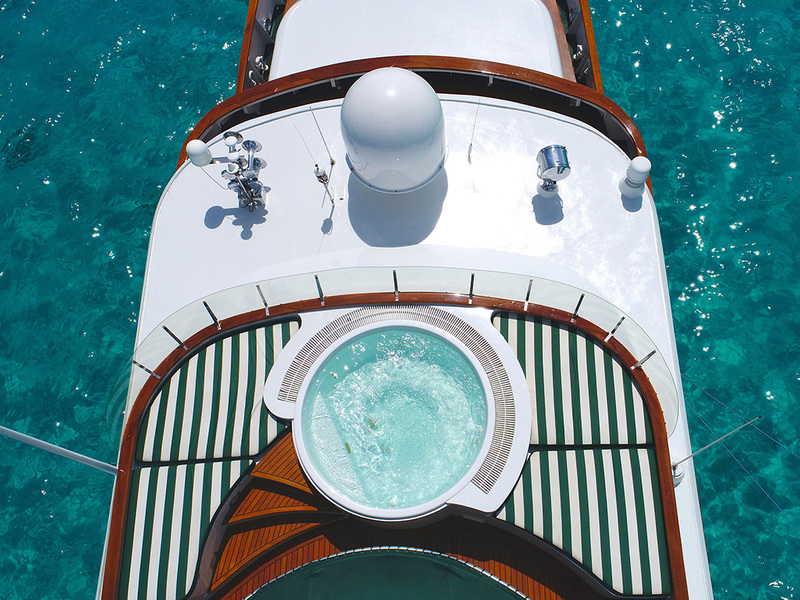 For an eagle's-eye view of the world, avail yourself to the yacht's remarkable observation and sun deck. 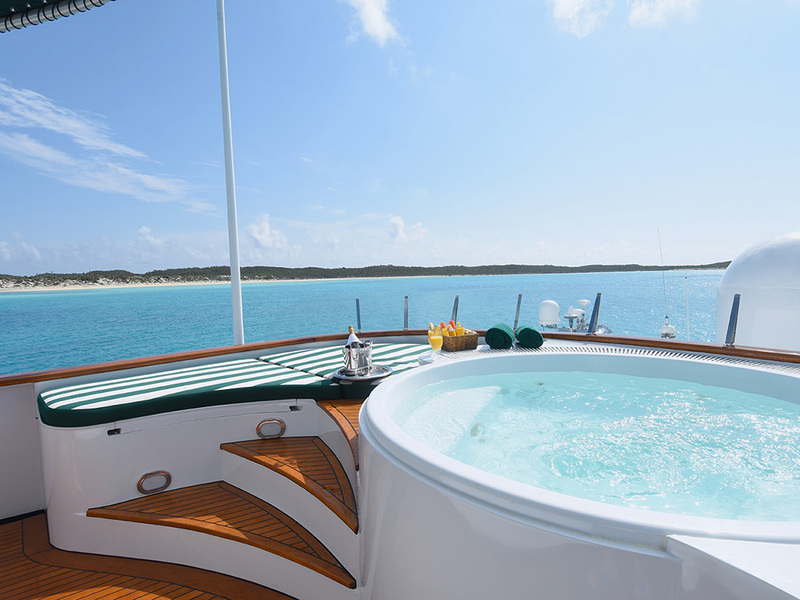 The yacht's signature stack includes a seating arrangement under a canvas canopy, sun pads, and a spacious hot tub.